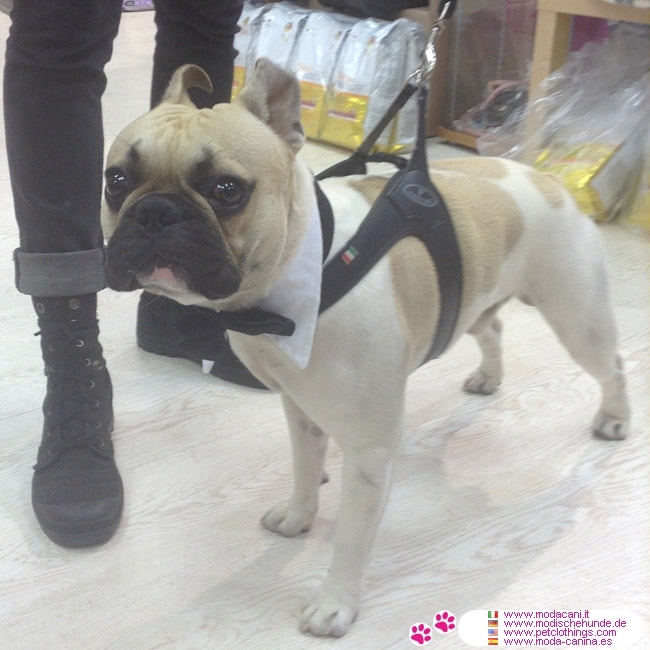 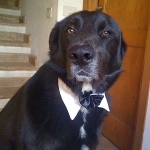 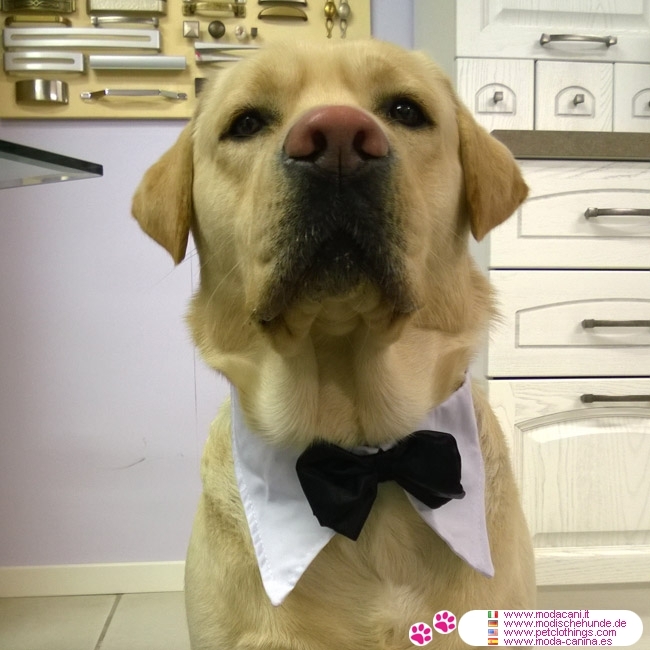 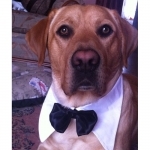 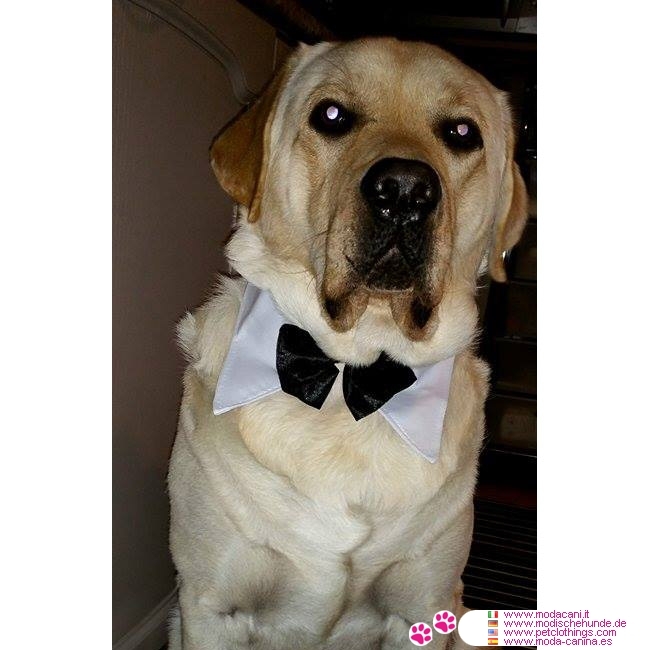 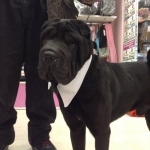 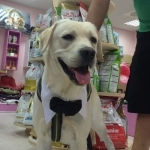 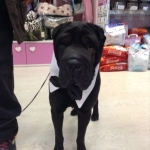 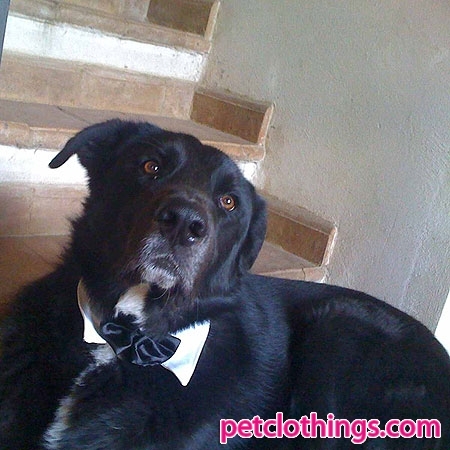 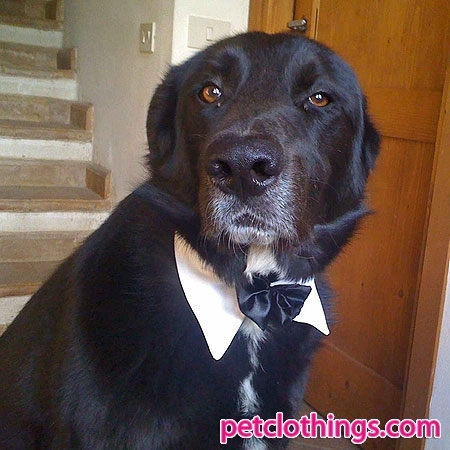 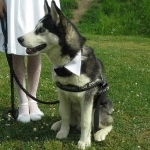 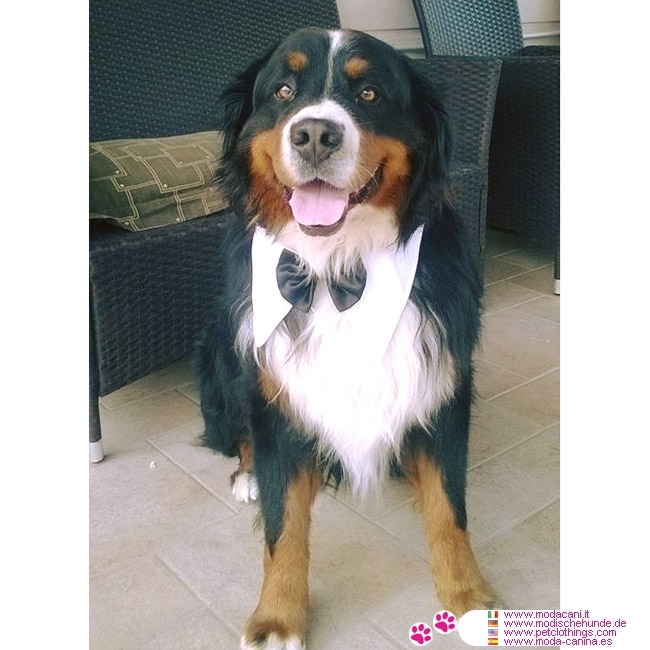 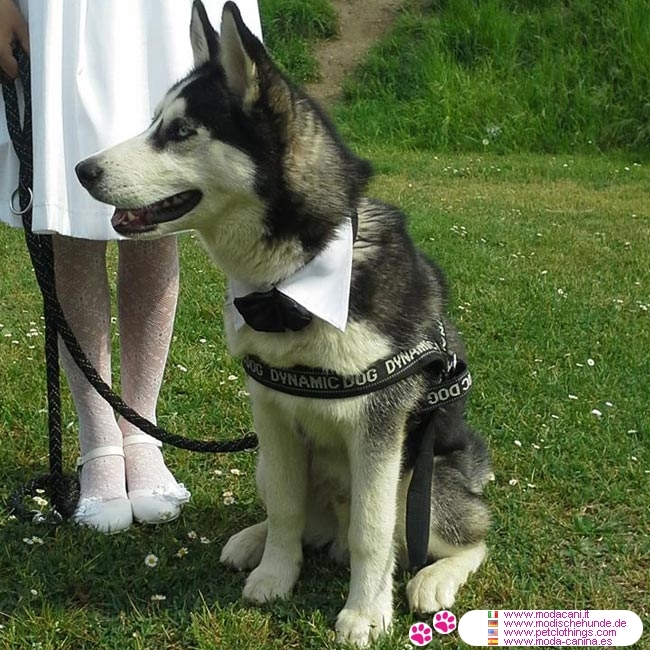 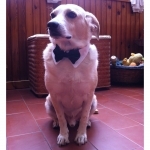 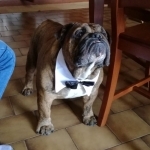 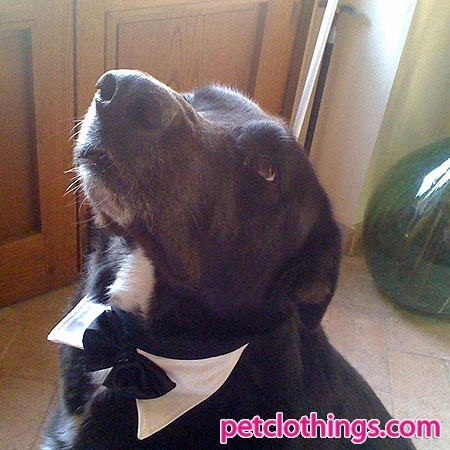 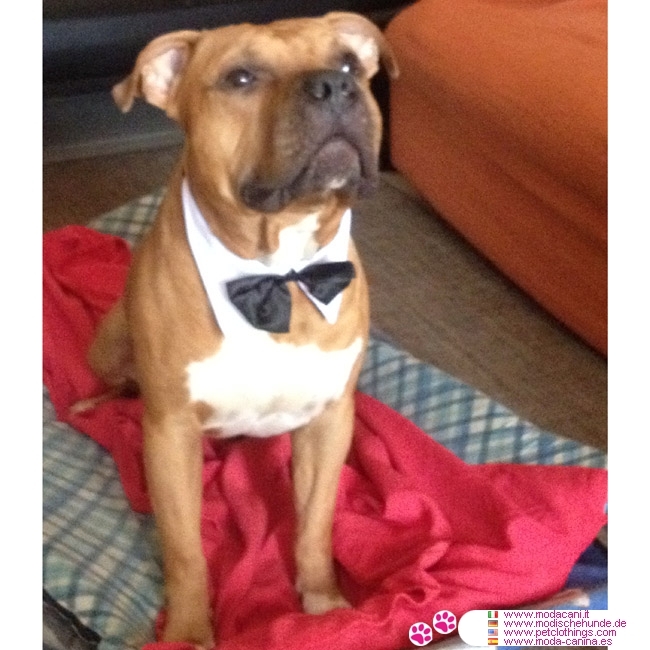 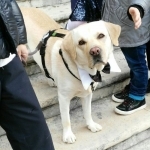 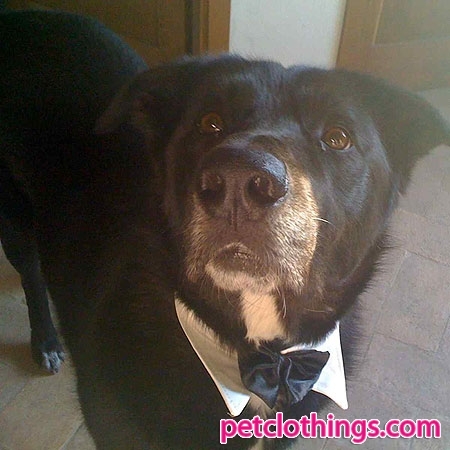 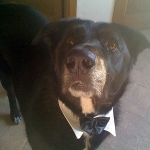 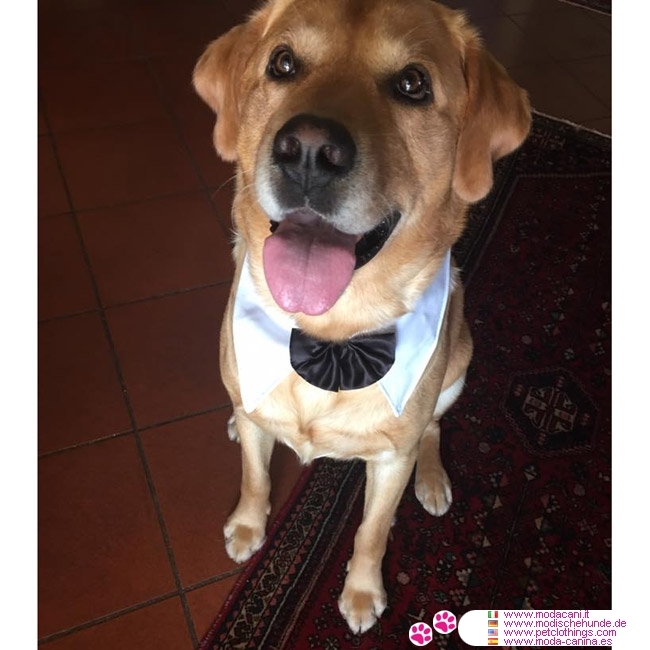 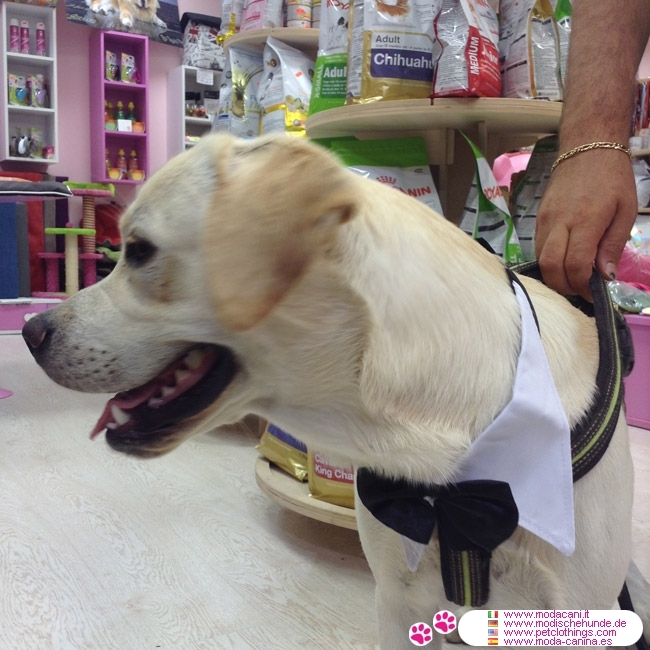 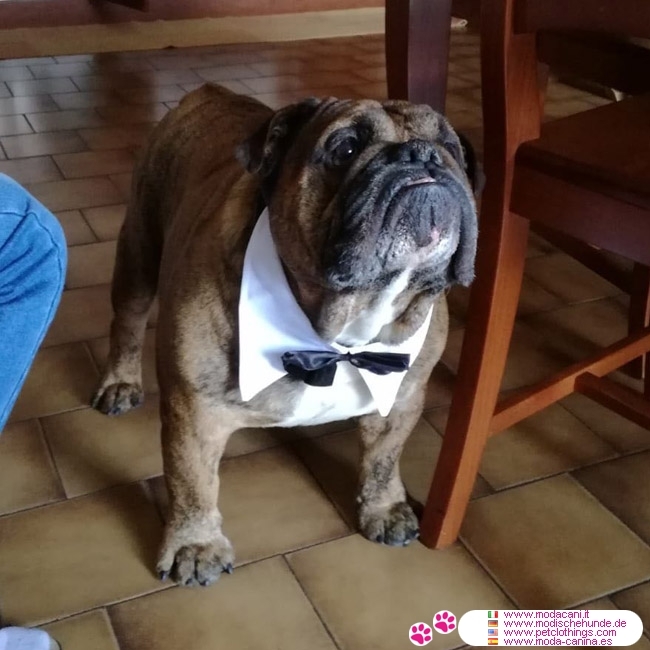 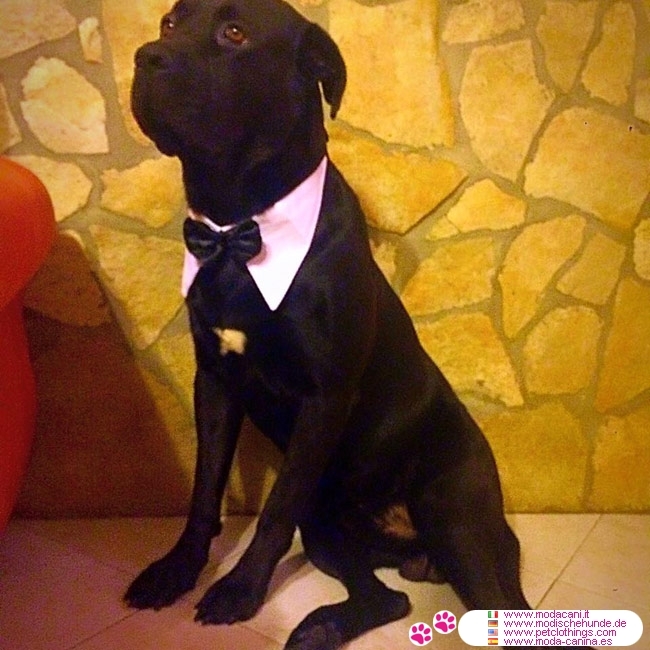 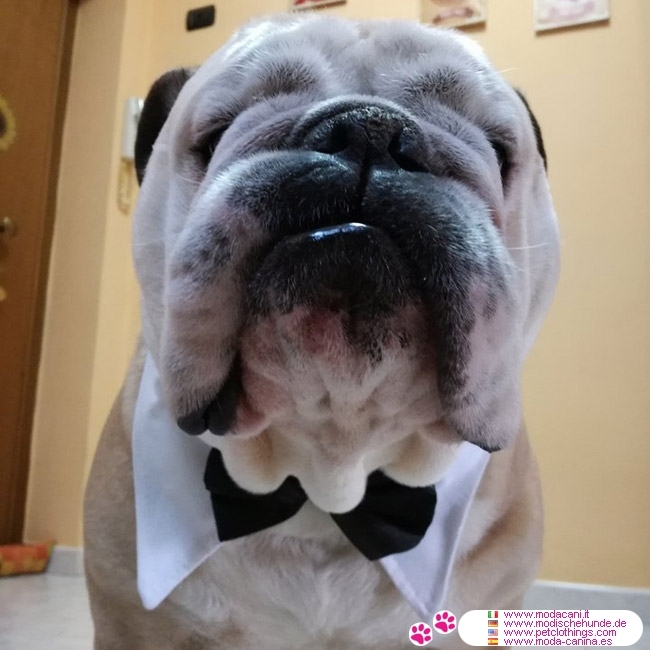 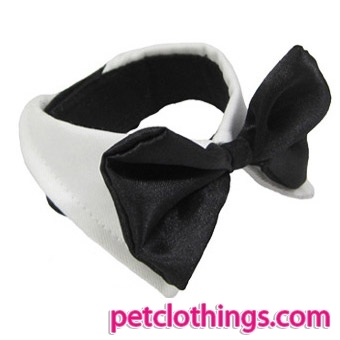 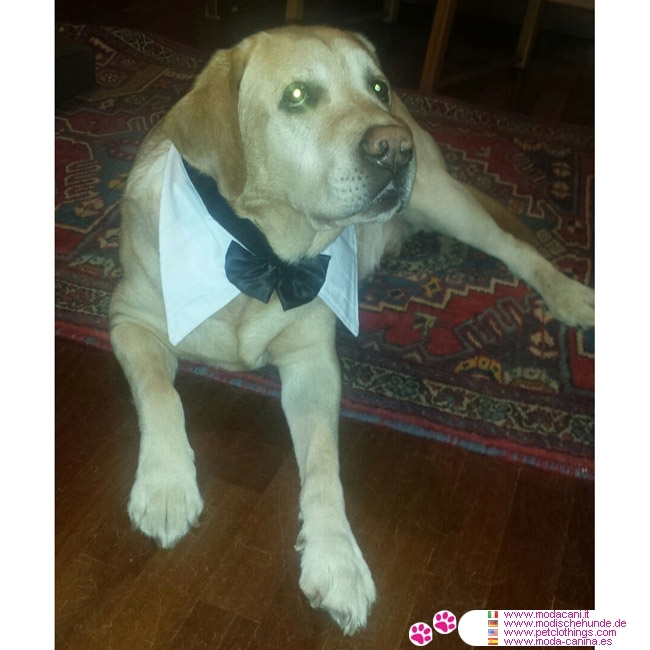 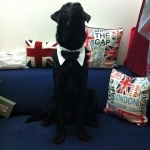 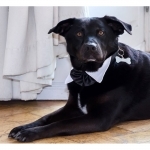 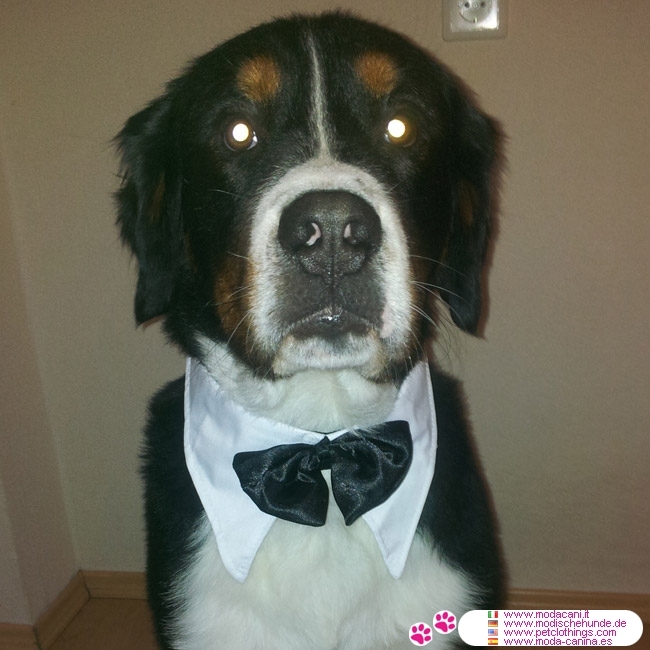 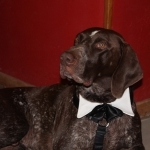 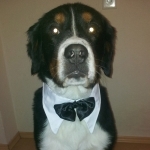 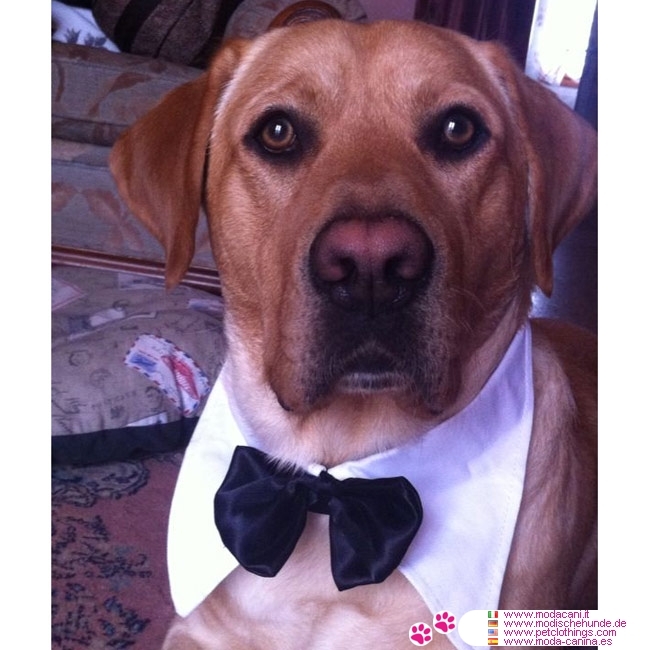 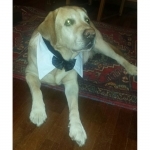 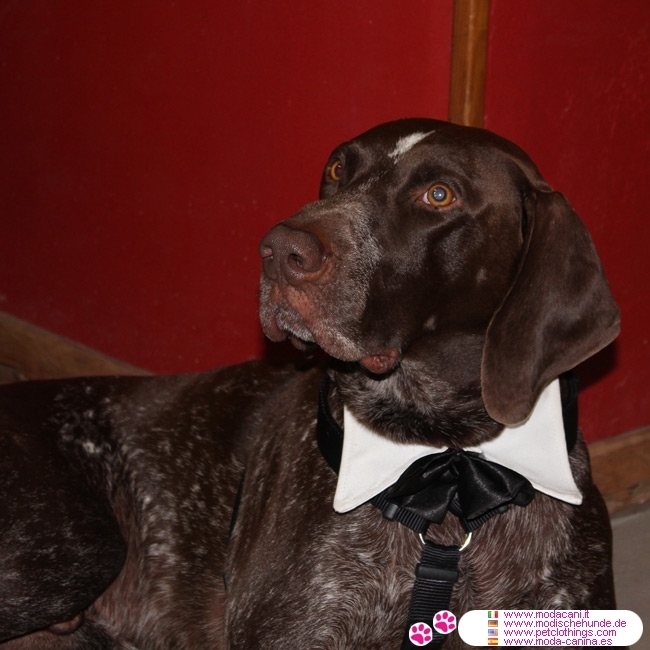 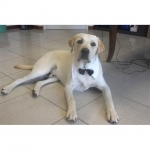 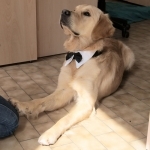 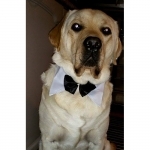 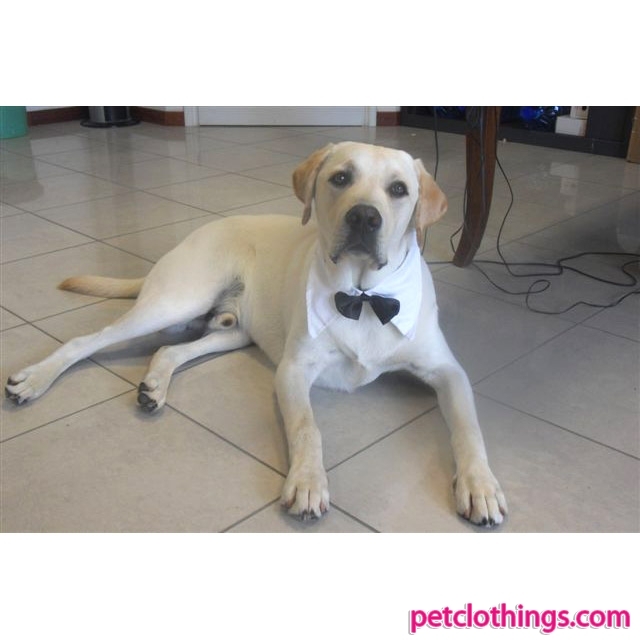 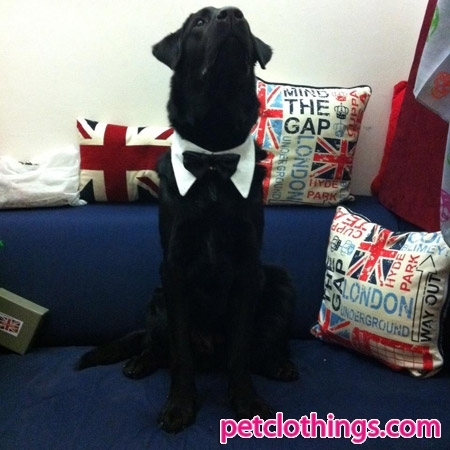 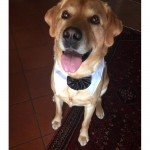 For a wedding or a ceremony, here is the ideal accessory for your large size dog: our Bow Tie for Large Dogs. 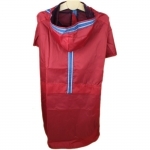 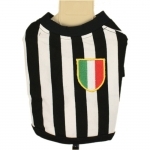 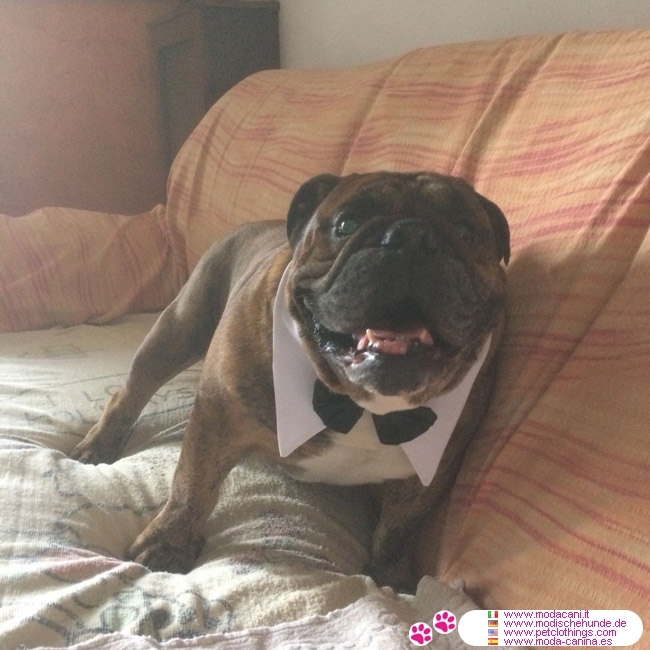 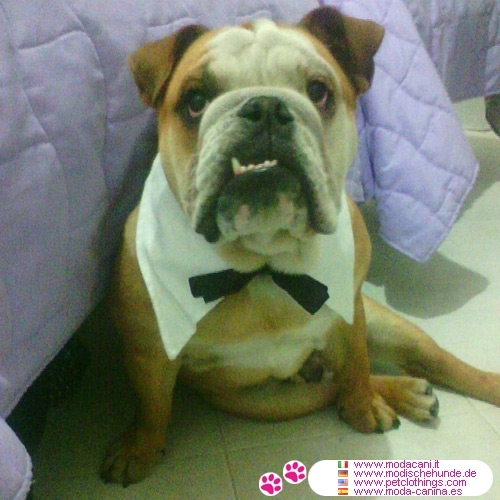 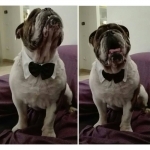 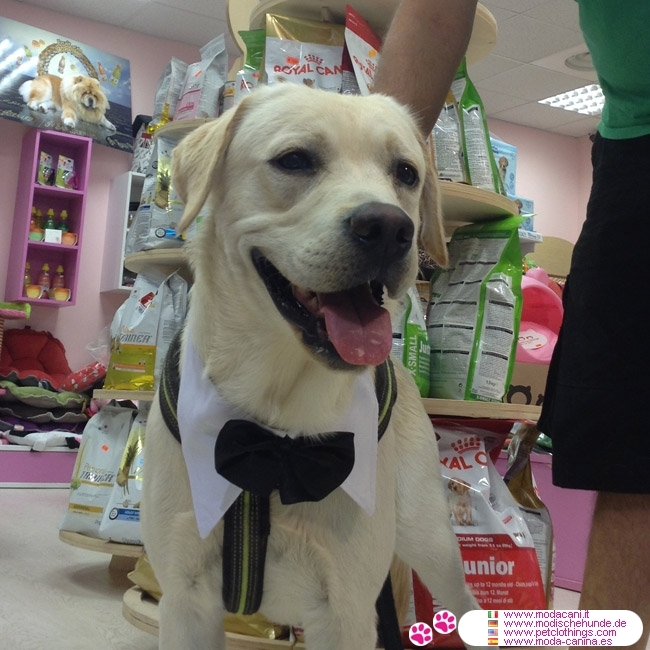 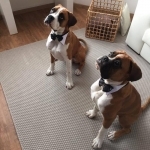 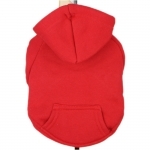 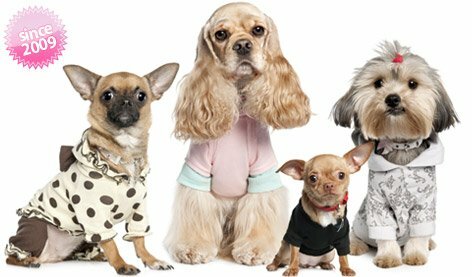 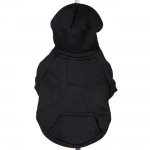 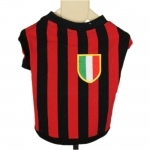 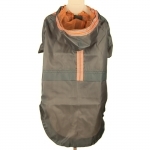 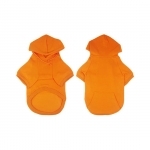 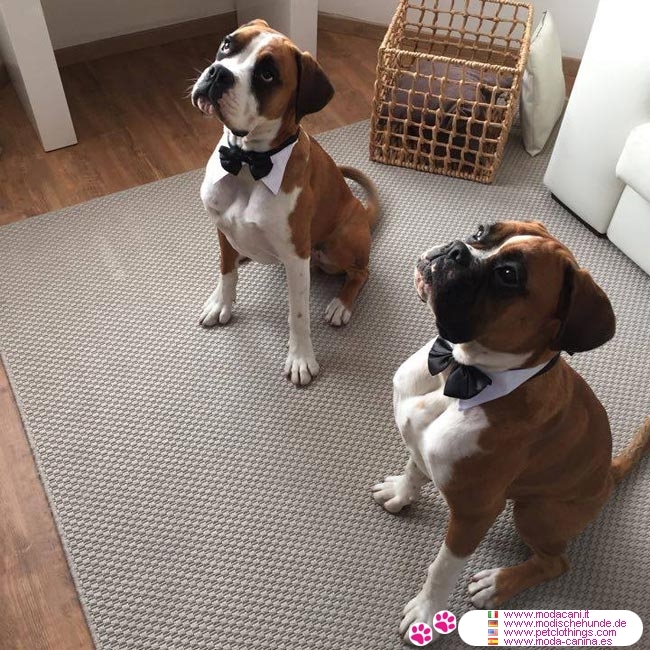 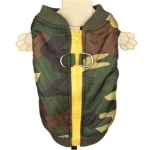 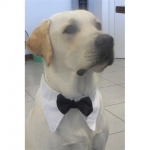 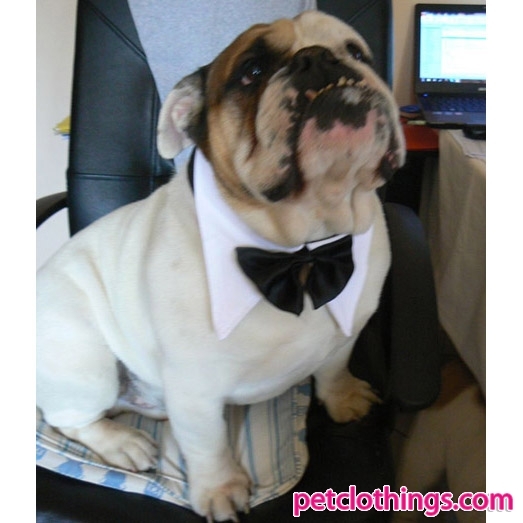 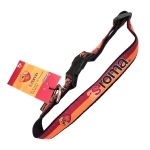 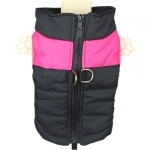 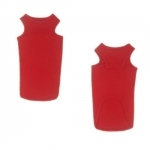 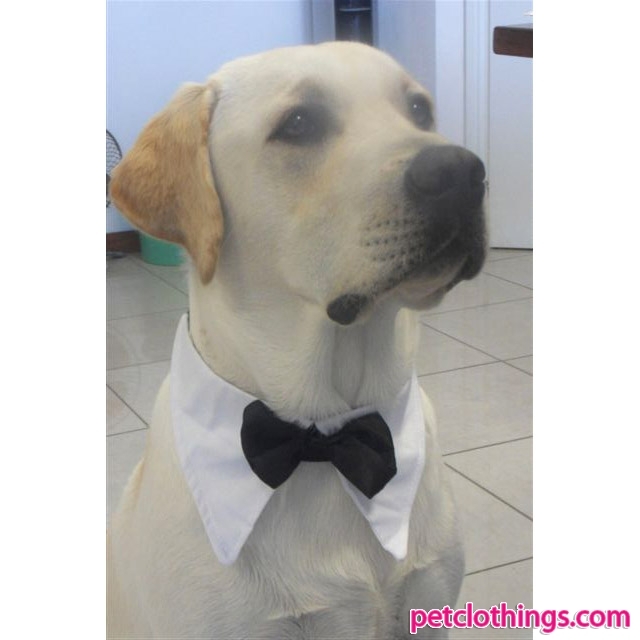 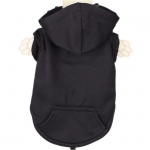 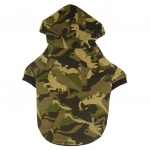 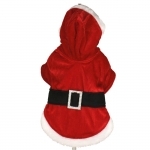 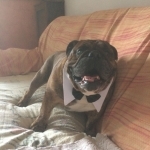 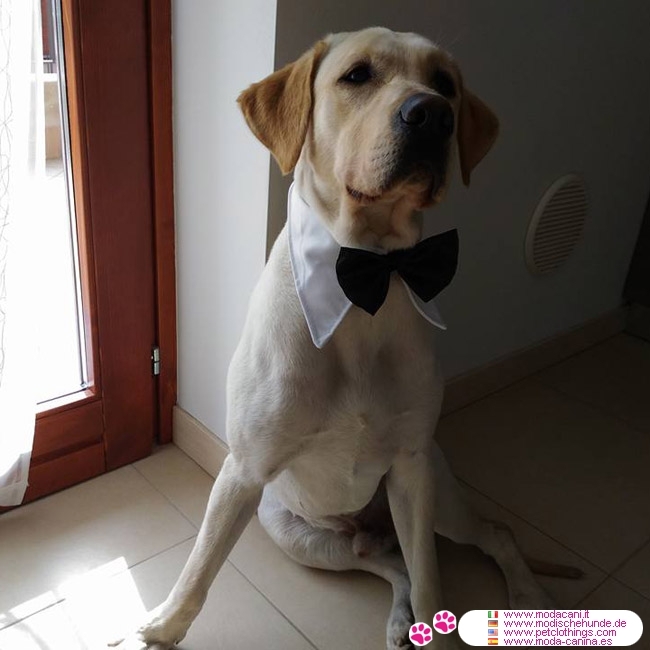 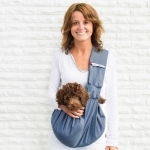 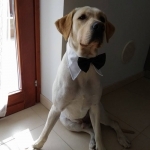 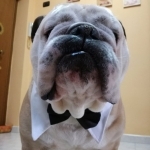 Without no doubts, it gives a touch of fun and elegance to your pet. 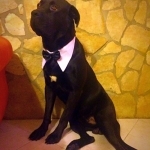 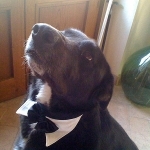 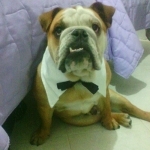 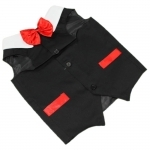 The color is as in the photo: a white collar with black bow ties. 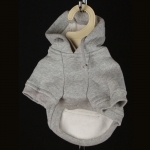 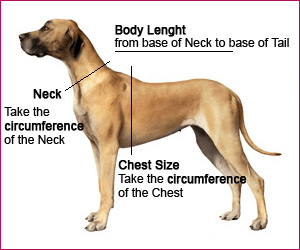 To choose the most appropriate size, please measure the circumference of your dog's neck: it fastens at the back thanks to a felt.